This Chick: Take ONE book off your TBR and join our discussion! Yesterday in my Sunday Commentary post an idea germinated between Donna @ Heron There & Everywhere and me. My post Lets Talk Books was a brief post asking for your help on what to read next. I gave six choices and Donna commented that she’d had Kulti by Mariana Zapata on her kindle for awhile and maybe we should read it together? I thought that sounded like a fun idea. We could read and review it, and link to each other’s posts! If both Donna and I own this book and have let it sift to the bottom of our TBR pile, how many other bloggers also have it, want to read it, and just haven’t gotten around to it? 3) Link back to Donna’s and my blog, and we’ll add your review links to ours! Please let me know in a comment below if you are going to take part. I would love to belong to a book club with my fellow bloggers! But, if it’s just Donna and I, I’ll expect you all to read our reviews, like them, and be super jealous that we took one book off our TBR’s! I look forward, to reading your review of this book! 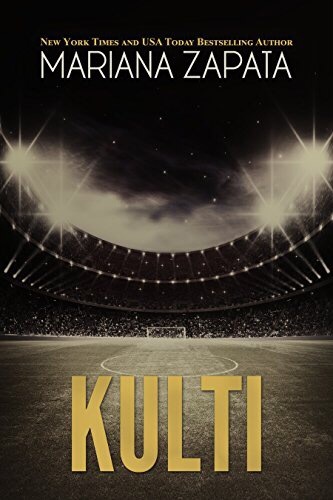 Here’s a synopsis of Kulti to get you excited to start reading. I love sports romances, and this one has a twist! Our protagonist playing sports is female…. This Chicks Sunday Commentary: Let’s Talk books! I let Donna know – I’m in! Awesome post, Deborah! I’m excited Sarah is joining us. The book is really good so far. This should be fun! I don’t know why I waited so long to read it! I’ll start it soon! I’ve already read this one or I would 🙂 Good choice though, I really enjoyed it!